Vintage 1960s Racing Bag with Ferrari 330 P4 Motif. A GREAT item from the late 1960's! Try and find another one! 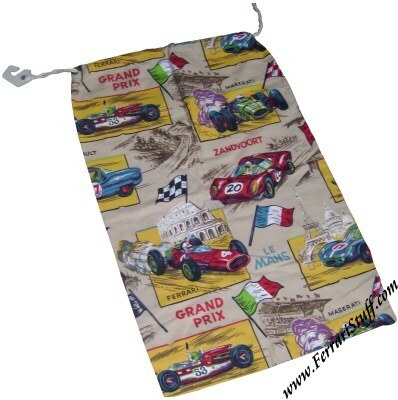 Great for carrying all kinds of items in your classic car! Measures approximately 50 x 75 cm or 20 x 30 inches.